I’ve posted thoughts about Lo&Sons before, including my review of their O.G. bag. To be fair, I mentioned that the one time I tried to take it on an overnight trip, it didn’t hold as much as I wanted and I decided to use it for single use trips only, like work or the gym. Even though I bought the bag in November 2016, I’d only used it a handful of times until two weeks ago, when I decided to take it to work out. I packed shoes, a bag of cosmetics, a brush, and workout clothes. Nothing excessive by any stretch of the imagination. 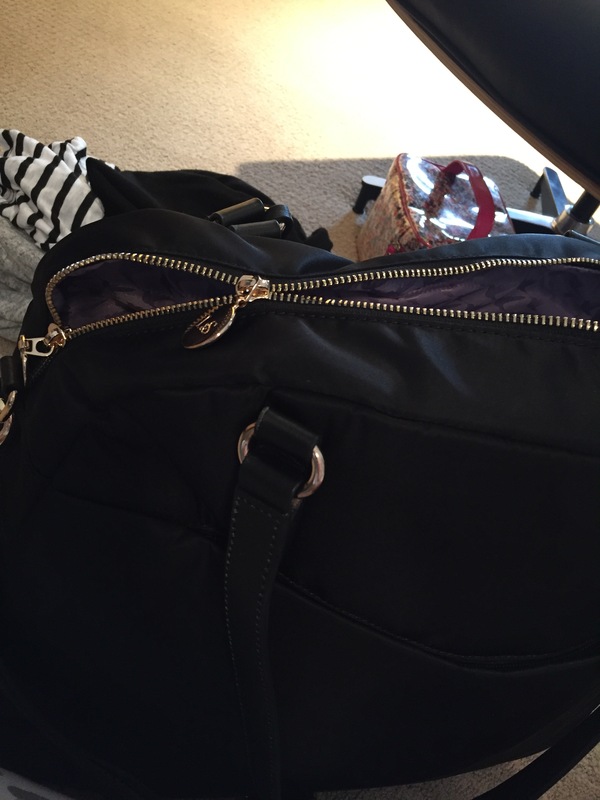 When I went to zip the bag, the zipper promptly split. I tried every trick I knew to get the teeth back on track, to no avail. I finally switched out my stuff into a crummy re-usable grocery bag that I got for free from somewhere and headed off to the gym. 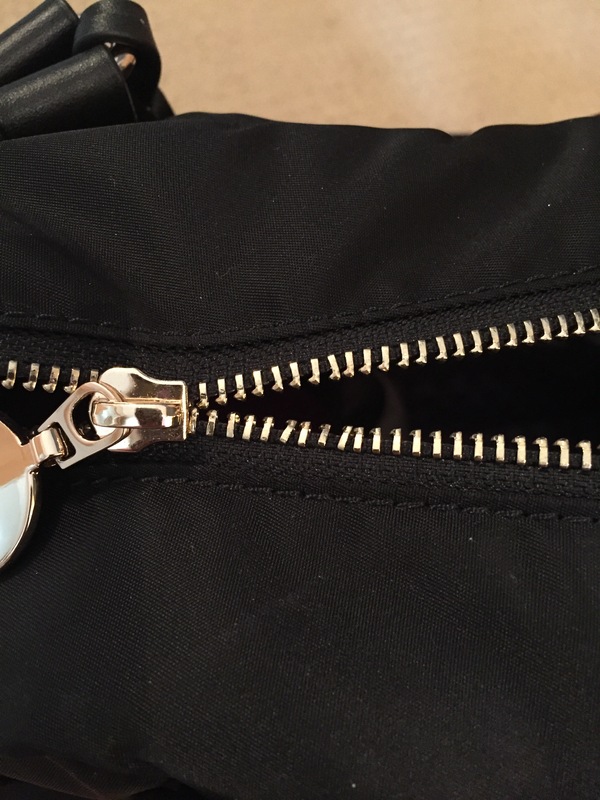 Later that day, I sent an email to Lo&Sons – almost on a whim – expressing my sadness for the broken zipper and asking if I could return it for a zipper repair, for which I was completely prepared to pay. Within two hours, I had a most gracious response, asking me for the bag’s serial number and promising to get this sorted out. 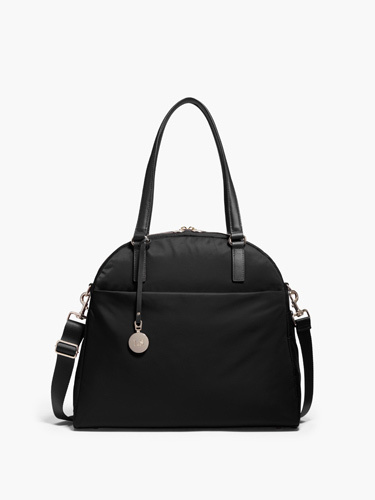 Once I located and sent the bag’s serial number, I received another amazingly prompt email with an offer to replace the bag for free, and an apology that the model I had (black nylon with gold zipper) was not currently in stock. My options were to wait for it to become available or choose another color. Lo&Sons recently introduce a pretty heather blue version of this bag, and it seemed right up my alley. 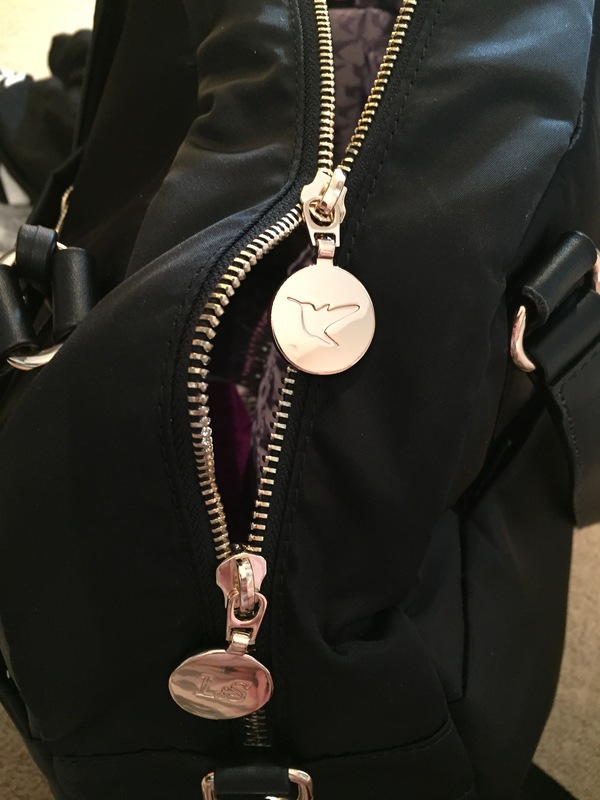 I opted for the blue and received a beautifully packaged, perfect new bag within two days. I was thrilled and so impressed with the customer service at Lo&Sons. That’s the kind of brand experience that brings you back and makes you a loyal customer for life. I had a quite opposite experience with vionic shoes recently and therefore I will never buy another pair of shoes from them again. It’s so much less expensive to retain a customer than to get a new one so it’s in the brand’s best interest to keep customers happy.